Tinuku ~ Clouds Architecture Office (Clouds AO) announced the design concept Analemma Tower as skyscraper radically reversing the traditional diagram-based of earth, but dependent on space-based. 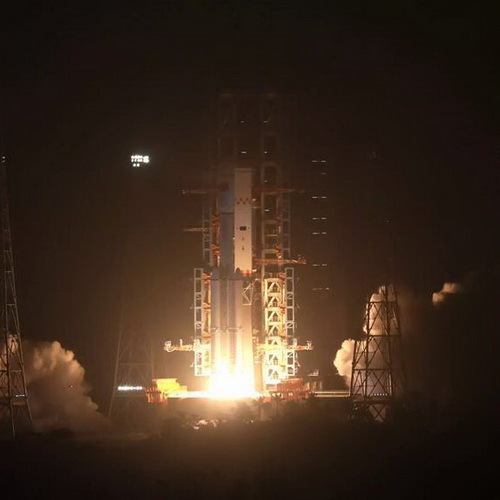 The tower was built using Universal Orbital Support System (UOSS) by placing a large asteroid into orbit above the earth where the high-strength cable down to the surface of the earth as a foundation super tall tower will be built. 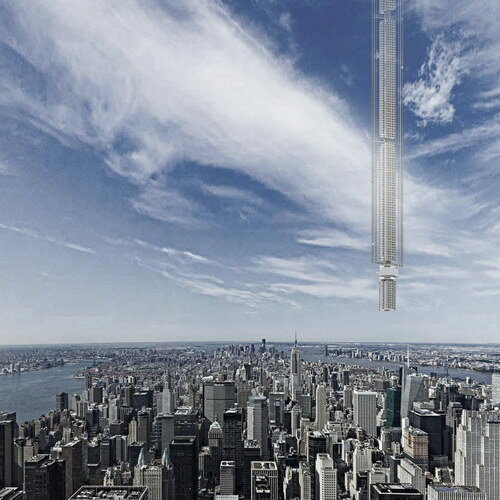 Clouds Architecture Office based in New York has completed the world's architectural concept as a new tower typology float in air as sky tower could be built anywhere in the world and transported to the final location. Analemma is a radical proposal to utilize the orbital mechanics sidereal rotation period of the earth using 24 hours to adjust to a particular geographic feature. 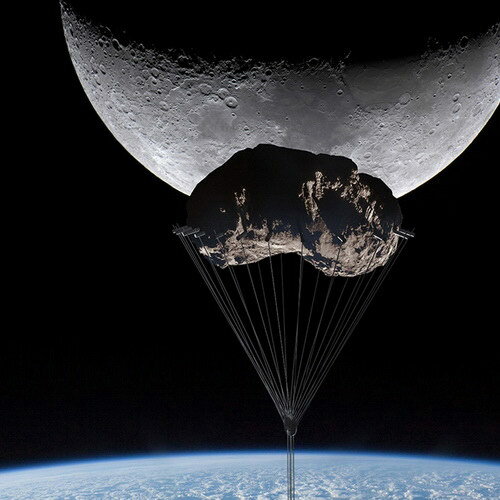 "Manipulating asteroids is no longer relegated to science fiction. In 2015 the European Space Agency sparked a new round of investment in asteroid mining concerns by proving with its Rosetta mission that it's possible to rendezvous and land on a spinning comet. NASA has scheduled an asteroid retrieval mission for 2021 which aims to prove the feasibility of capturing and relocating an asteroid, " said Clouds AO. Analemma tower supported by space-based solar panels that receive constant sunlight. The water is filtered and recycled in a semi-closed loop system and will be replenished by rainwater and condensate from the cloud. The elevator system using electromagnetic elevators. 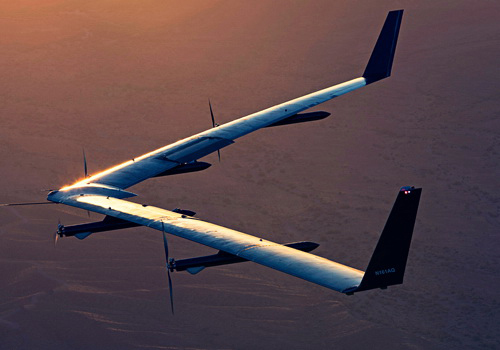 "While researching atmospheric conditions for this project, we realized that there is probably a tangible height limit beyond which people would not tolerate living due to the extreme conditions," said Clouds AO. "For example, while there may be a benefit to having 45 extra minutes of daylight at an elevation of 32,000 meters, the near vacuum and -40C temperature would prevent people from going outside without a protective suit. Then again, astronauts have continually occupied the space station for decades, so perhaps it’s not so bad?" said Clouds AO. 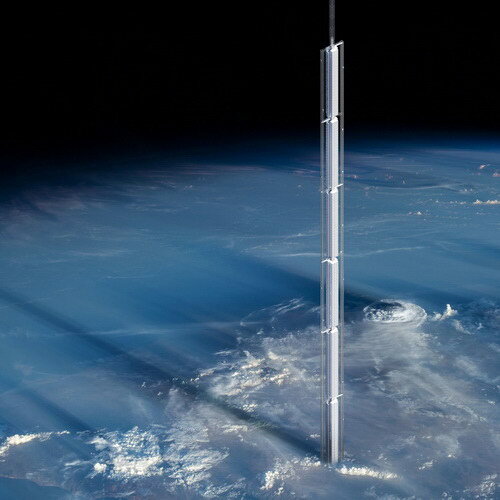 Analemma Tower is a proposal for the world's tallest building ever. Harnessing the power of planetary design thinking, it taps into the desire for extreme height, seclusion and constant mobility. If the recent boom in residential towers proves that sales price per square foot rises with floor elevation, then Analemma Tower will command record prices, justifying its high cost of construction.